Nouvellement rénové pour la saison de ski 2016-2017, nouvelle peinture et plancher! Deux salles de bain complètes. Une salle de bain dispose d'une baignoire / douche combo et la deuxième salle de bain a une douche seulement. Place as advertised. Cam is easy to deal with if you have any questions about anything. Lots of kitchen supplies that made cooking easy. Highly recommended, and this place will definitely be where I stay on returning. Thanks Kattlyn, glad your group enjoyed the stay, hope to see you back soon! 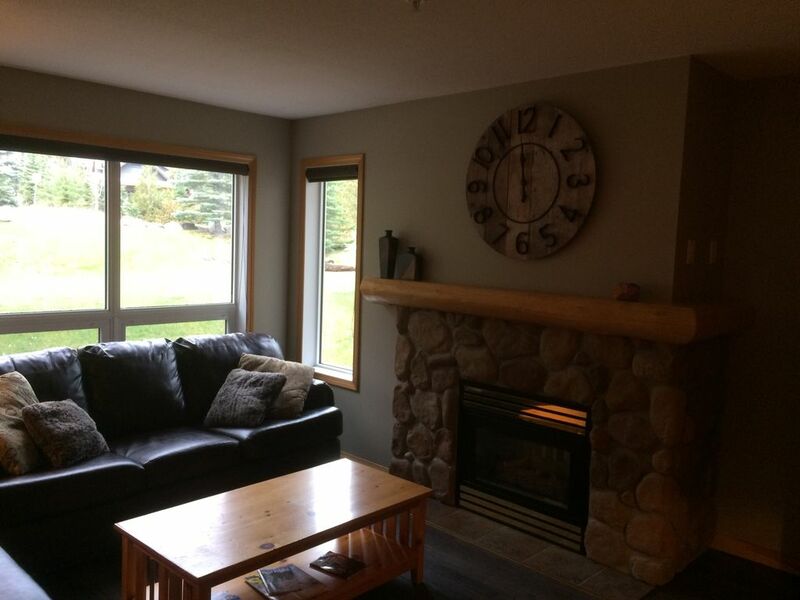 Simple and comfortable accommodation within 5 mins walk from the Fernie base area. Everything you need for a weeks skiing - plus a hot tub. Would definitely stay again. Thanks Robert, hope to have you back soon! Amazing (and snowy) stay in Fernie! Overall, we had an excellent stay at this property. Conveniently located in the Fernie resort village, the mountain is a quick 5 minute walk up a small slope, and a 1 minute ski down. The place is very cozy, but quite spacious as well, enough to sleep 6 adults (2 were on the sofa-bed). We loved to stay in the condo for our après-ski, especially with the hot tub that was perfect for our tired legs. Cooking for the group was a blast with the well-equipped kitchen. Hi Olivier, thanks for the review. Glad your group enjoyed both the hill and the apres-ski parts! Hope to have you back next season! Glad you enjoyed the tub Rhonda! I agree, the walk can be a bit long for little kids. Can't wait to host you again next year! Hi Sheldon, great to have your group, hope to have you back soon! Well stocked and comfy place! Nice location though ended up driving to resort rather than the walk but that did look convenient. Easy drive into town. Great hot tub but once snow built up from roof shedding snow little snow bombs coming off roof would send snow flying into tub (and onto it's occupants). One rather big problem we encountered was that the cooking pots and pans were trashed so we made due with the one decent one. VERY small clothes washer so needed to do 2 loads for what we could do with 1 in all the other places we stayed on our trip. We had some trouble with the dishwasher soap dispenser. Looks like the folks before us had some trouble too since there were a few not clean dishes that had been put away. I've never heard of any issues with snow bombs but hope it didn't cause too much inconvenience. My apologies on the washing machine, it is a condo sized machine so we do have to do more loads than household sized ones. We've never had any issues with the pots and pans before but will ensure no trashed pots/pans remain for use of guests.